In multimodal coaching, there are many coaching models used and each will belong to a particular school of approaches, sharing the same philosophy. Cognitive Behavioural Therapy is a therapy in its own right. At the same time it belongs to what is called the Cognitive Behavioural School of approaches. There are many Therapies, just as there are models of coaching and each falls under a generic heading such as Cognitive Behavioural, Humanistic and Analytic. Each therapy falls under a particular School because it shares the same beliefs about human nature and how individuals develop, experience difficulties and change. However, each has a different approach when it comes to ways of working. In this case Multimodal Therapy belongs to the Cognitive Behavioural School in the same way that Rational Emotive Behaviour Therapy and Solution Focussed Therapy do, to name but two. All of the therapies that fall within the Cognitive Behavioural School can be easily adapted to coaching because they are interactive. 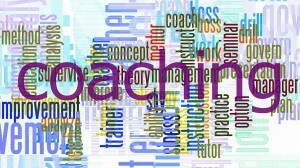 There is now a growing number of coaching models that belong to the Cognitive Behavioural School. This is due to their emphasis on behavioural and cognitive change while being psychoeducative in nature. In addition many of the skills, exercises and techniques from this school can be integrated into other coaching models providing the coach is open to the integration of skills. How dealing with negative self-defeating aspects requires changes in thinking, feeling and actions, all of which will impact physiology. These models are psychoeducative and collaborative believing that the coach brings their expertise to the coaching process while the client is an expert on him/herself. Collaboration and demystifying the process provides the individual with the tools he or she needs to bring about change. Where Multimodal differs from Cognitive Behavioural Coaching is through how it works with clients. Multimodal Therapy was founded by Arnold Lazarus, a South African psychologist recognised for his contributions to behaviour therapy. At the same time that Albert Ellis (REBT) and Aaron Beck (CBT) were pioneering their own take on cognitive behavioural therapy, Lazarus was developing what has been called a “broad-spectrum” cognitive behavioural therapy. The Multimodal approach is a technically eclectic approach to coaching. The multimodal orientation places emphasis on seven interactive modalities. These modalities are given the acronym BASIC ID. The coach can use an adapted 15 page Multimodal Life History Inventory (MLHI) to help target accurately the coaching focus. It is a psychoeducative model where the coach tailor makes coaching to the needs of the client in each of the relevant modalities. Multimodal Coaching (MMC) is based on the assumption that most psychological problems are multifaceted and multi-layered, calling for careful assessment of seven modalities. MMC addresses the fact that different people depend on or are more influenced by some modalities than others. Some people are prone to deal with their problems on their own, cognitively, while others are more likely to draw support from others or to use physical aspects to deal with problems, such as exercise or drinking. All reactions are a combination of how the 7 modalities work together. Once the source of the difficulty is identified, coaching can be used to focus on the strategies that will help overcome the problems or challenges experienced. Multimodal Coaching is not the same as Cognitive Behavioural Coaching but it does belong to the same school, sharing much of the same philosophy. The way it goes about coaching is different to that of CBC but with the same end in mind and it is can be a legitimate coaching approach. MMC can be used as a stand-alone coaching approach like CBC or a coach could choose to take the parts of it, as with Cognitive Behavioural Coaching, that s/he feels will be helpful and integrate these into his/her own coaching approach.